Steven N. Peskind is the principle of the Peskind Law Firm based in St. Charles, Illinois. His firm concentrates in family law matters throughout the State of Illinois. He graduated from Tulane University and DePaul College of Law. He is a fellow of the American Academy of Matrimonial Lawyers and is an elected member of the American Law Institute and the American Bar Foundation. He recently served on the Illinois Family Law Study Committee working to improve Illinois family laws. Mr. Peskind is a faculty member of the Family Law Trial Advocacy Institute presented annually in Boulder, Colorado by the ABA Family Law Section in conjunction with the National Institute of Trial Advocacy. In addition, he serves as Co-chair of the Publication Board of the ABA Family Law Section. Mr. Peskind also serves on the faculty of the Oklahoma State Bar Family Law Section Trial Institute. Mr. Peskind speaks nationally on a variety of family law topics. He has been the keynote speaker for several state family law presentations and has spoken on such diverse topics as evidence, trial techniques practice management and divorce taxation. Mr. Peskind has written four books: “The Family Law Trial Evidence Handbook” published by the American Bar Association; “Divorce In Illinois,” published by Addicus Press; “100 Days Before Trial” will be published by the American Bar Association in October 2015; and “The Changing Face of Illinois Family Law: 2016 Marriage and Dissolution of Marriage Act Overhaul,” published by the Illinois Institute of Continuing Education in October 2015. Mr. Peskind has also written numerous chapters and articles, including three academic law review articles. The law review articles examined redefining parentage in the age of assisted reproductive technology and the origin and utility of the best interest standard in determining child custody. A law review article published in 2013 focused on hearsay evidence in child custody proceedings. In 2005 he was inducted into Scribes, a legal writing honor society. Mr. Peskind has been recognized as one of the Best Lawyers in America. The Leading Lawyers Network has designated Mr. Peskind a Leading Lawyer since 2003 and the Super Lawyers has recognized him as a Super Lawyer since 2008. ​In 2015 Best Lawyers honored him with the award of Family Lawyer of the Year in Chicago. Mr. Peskind has also been selected as a Diplomate of the American College of Family Trial Lawyers, which is a select group of 100 of the top family law trial lawyers from across the United States. Mr. Dodd comes from a family of lawyers and has been in the courtroom as long as he can remember. Prior to attending law school, Mr. Dodd worked for Dodd & Burnham, P.C., assisting in the representation civil and criminal clients. Mr. Dodd then worked for Spohrer & Dodd, aiding individuals in aviation and medical malpractice cases. Mr. Dodd attended the S.J. Quinney College of Law at the University of Utah, where he graduated 4th in his class. During his time at S.J. Quinney, Mr. Dodd was a Note and Comment Editor on the Utah Law Review and was awarded Best Oralist in the Traynor Moot Court Competition after arguing before Chief Justice John Roberts of the United States Supreme Court, Chief Justice Durham of the Utah Supreme Court, and Judge Matheson of the Tenth Circuit Court of Appeals. While working with the Rocky Mountain Innocence Center during law school, Mr. Dodd drafted an innocence petition to which the Utah Attorney General stipulated, securing the factual innocence and complete exoneration of a man wrongfully incarcerated for over four years. Additionally, Mr. Dodd was awarded a Pro Bono certificate for his extensive work with low income citizens in need of legal assistance. Throughout law school, Mr. Dodd worked with Manning, Curtis, Bradshaw & Bednar, a firm specializing in complex commercial litigation. Upon graduation, Mr. Dodd clerked for Justice Jill Parrish, of the Utah Supreme Court, before returning to Montana to settle and raise his family. 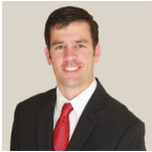 Mr. Dodd is licensed to practice law in Montana and Utah.